Passion can bloom anywhere. Think of France, with its culinary cathedrals; Spain, with its torrid bullfights; Argentina, with its sultry tango. How is la passione italiana different? Although his hands are immaculate, I appreciate what Spagnoli means. Italian passions may begin with a thought or a desire but rarely remain purely cerebral. A molecular urge compels Italians to translate their visions into tangible forms: verses, images, food, wine, cars, jewelry, films, designs. And into everything they create, Italians instill a bit of their own personalities, memories, and dreams. Alone among nations, Italy has conquered the world—not once, not twice, but three times. The Roman Empire extended its might over territories spanning a quarter of the globe. Christianity, with Rome as its capital and Italy its cradle, planted the seeds of a religion that now counts 2.3 billion members—about one of every three people on the planet. The Italian Renaissance transformed art, architecture, and philosophy in an explosion of creativity that ushered in the modern age. 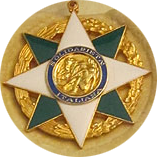 Is it possible for anyone to acquire la passione italiana? I believe so. As the Italian writer Luigi Barzini contended, “in the heart of every man, wherever he is born, whatever his education and tastes, there is one small corner which is Italian.” This is the place, often untidy or even unruly, that feeds the desire to live and love fully, to pursue beauty, to cherish family and enjoy the company of kindred spirits, to speak and act with flair, to recognize but not entirely care about the things that matter little, and to care fiercely about those that matter most. And this is wherela passione italiana takes root. 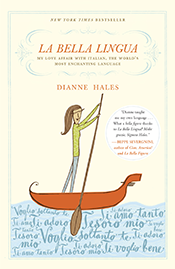 Dianne Hales is the author of LA BELLA LINGUA: My Love Affair with Italian, the World’s Most Enchanting Language, MONA LISA: A Life Discovered and the upcoming LA PASSIONE: How Italy Seduced the World. 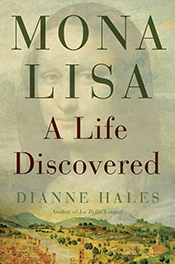 For more information on her and her Spring book tours, visit her website: diannehales.com. As of the end of April, I will not be posting at “Becoming Italian Word by Word.” Instead, I am debuting a new blog, "A Passion for Italy," which will be available on my website, along with a complete archive of my previous posts. To subscribe, click HERE and go to the top of the sidebar. If you are already subscribed via e-mail to my Typepad blog, your subscription will automatically transfer to the new blog. However, if you subscribed via RSS, you will need to do so again, using the same link as above.